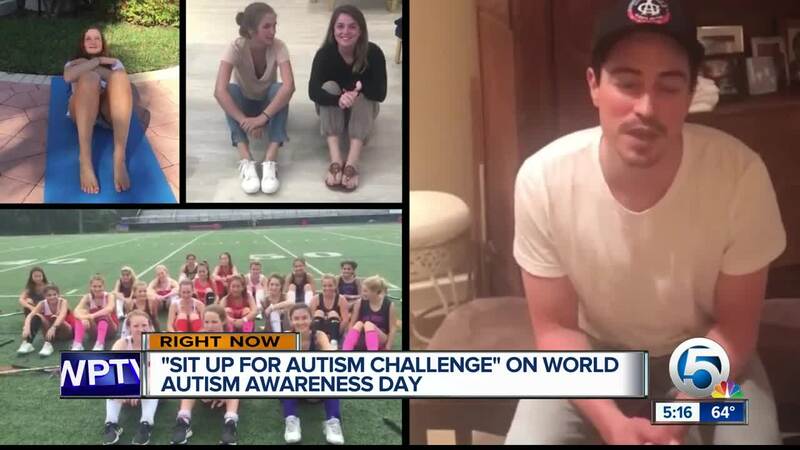 World Autism Awareness Day in April 2, and a campaign is helping shine a light on the developmental disorder. The "Sit Up for Autism Challenge" is asking people to perform 11 sit ups to signify that every 11 minutes another family learns their child has autism. You have 24 hours from the time you are challenged to share your video on social media. Remember to tag the three people you are challenging or tag as many people as you would like to take the challenge. If you would rather not complete the challenge, the Autism Speaks organization is asking you to donate $11 to www.situpforautismchallenge.com .